Here's an Obama supporter that is exercising her free speech and expression at a recent Romney event. Maybe Mitt Romney will come out with a "Romney Phone"? How about an Obama car? Obama shoes? Obama lunch? (Michelle already did that) Obama clothes? The entire world is watching The United States Of America now KILLING it's own people with genetic engineered (GE) food or genetically modified food (GMO). Do you think other countries will stand sill and import these products? Some say this may be the most dangerous economic development to hit the headlines as The United States Of America may now become known as THE LAND OF DEADLY KILLER FOOD by the rest of the world. If you think it's only CORN and SOYBEANS it's not: Wheat and all manner of fruits and vegetables are also at stake. Even our cattle and poultry are being fed these harmful substances. What do we do now? This is UNPRECEDENTED! Do we have KILLER CORN growing now? Jim is reporting on the government mandatory ethanol blend increase to 15% in gasoline. The pumps have warnings that the fuel could void warranties and of course it is known to damage engines. What some say is happening here is there is a problem with our nationwide genetically modified corn called "Roundup Ready Corn" by Monsanto. The corn is causing major problems as it cross pollinates and causes cancer in laboratory animals while the deadly substance is going into just about everything we eat. Just what does this mean? Does the U.S.A. manufacture KILLER FOOD? Make no mistake about it as the world is watching the U.S.A. manufacture deadly food and they may in fact shut off our food exports soon enough. Many of these countries don't want this problem and the U.S.A. may be in for more than a major corn crop debacle as the government either orders it plowed under (which will not get rid of it anyway) or turn the majority of the crop into more MANDATORY ETHANOL. That looks good and there are still a lot of trees so I don't expect a paper shortage at any time. Also the demand for dollars seems to always increase as people never have enough of them and the rich are never satisfied with more than they could wish. So I believe in a simultaneous INFLATION/DEFLATION SCENARIO where the US DOLLAR gains value while certain assets are depreciated but the consumer cost is adjusted higher and higher for necessary goods. Very clever isn't it? Review Ron Paul and the N.D.A.A. Isn't it interesting that our majority Congress allows this to pass in complete violation of the United States Constitution and Bill of Rights? That's proof that these men are violating their oath of office on a regular basis. ONLY TWO REBUBLICANS VOTED AGAINST THIS BILL! THE REPUBLICAN PARTY IS A GESTAPO PARTY. SO YOU THINK THE DEMOCRATIC PARTY IS BETTER? GET A BRAIN! "...Have you people never read the Bible? Why don't you crack open the Bible and start reading?..." Ann Barnhardt says states should secede from the U.S.A. such as an Oklahoma/Texas scenario and I believe she is probably going to see this happen should the epic crisis happen according to her projections. I'm posting this again because I believe it's important. Many men are clinging to her now like a bunch of little pansies because sadly the men in our nation don't have the balls she has to speak out. We've arrived at a time where men are scarcely men anymore. Now these little effeminate types are taking a hold of her skirt like a bunch of little boys. Well maybe I shouldn't be too hard on them since they might actually learn something :-). Notice Hillary say, "...we do whatever they tell us..."
I'm wondering what she meant when she said that. I worked in Washington D.C. in an executive capacity for several years and have seen some things first hand. People are people in real life and hopefully many of them will come to the knowledge of the truth of the gospel of Christ. Good understanding giveth favour: but the way of transgressors [is] hard. What's going on with the insider globalists and all that gang I don't know. But I do know that the men in high places usually forget that God is above all. This is not a joke people! Notice that the NSA CENTER is on MILITARY AVENUE. This nation is morphing into a MILITARY and POLICE STATE. Notice how our own alleged American agencies are treating we the people as criminals and love to harass us with their usual display of force, etc. Bill Murphy who is the head of this "GATA" nonsense is a legend in both his own mind and those of his followers like SGT B.S. and so forth. So why is GOLD and SILVER not reached those ridiculous pumper's prices over the last two years? ANSWER: It's simply intentional manipulation by these gold and silver pumpers because these alleged gold and silver advocates are all traders just trying to run their options and futures contracts to their advantage. The US DOLLAR is here to stay until the currency is devalued or reinvented. If and when that happens the value of gold and silver which is currently valued in US DOLLARS will be valued by the new currency which will ultimately result﻿ in devaluation of both currency and precious metals. Get your Obama CELL PHONE and vote for Obama---YEEEAHH BABY! CRANK DAT OBAMA PHONE! Lets turn the U.S.A into an entire culture of LOW MINORITY and FOOD STAMP servants. Vote Obama! Perhaps these programs and messages are being endorsed by JPM? Is Ahmedinejad the man of sin? the son of perdition? The stage is being set for the man of sin, the son of perdition whosoever that is as he is set to emerge and exalt himself above all that is called God or that is worshiped. This talk about a NEW WORLD ORDER is very curiously close to fulfilling the word of God and sounds like the fruit of the beast and the false prophet. Ann Barnhardt really has a MESSAGE OF URGENCY here in this interview. She considers the banks to be insolvent and suggests people to take immediate action to protect their assets. This lady really is serious about this! Elite Chaplain Lindsey Williams needs some examination. Perhaps his nonsense is finally being revealed? False prophets and false teachers such as Steve Quayle will not rebuke or expose these abominations since he is just another man of Satan who is more interested in the mammon of gold and silver and ultimately a substantial profit in US PAPER DOLLARS. This goes for all the other alleged liberty loving fakers also. Some people don't care what the government tells them what to do. But then I thought we were the government? What happened? 31 MILLION American kids are on "THE FREE LUNCH PROGRAM". How about that? Ask Michelle what to eat at home next? Perhaps she will market a cookbook for us? Soon there's going to be additional food trouble with corn and oil across the entire United States Of America courtesy of Monsanto. Looks like the HOPE and CHANGE is making progress now. How about another 4 years? God's strong delusion that he has sent has arrived. The scripture is fulfilled and those that have the strong delusion don't even know it but are convinced they have "the truth" and that can be a combination of things including but not limited to various things such as: Constitutional worship, false liberty, Christianity falsely so called, gold and silver investing cults, financial and revolutionary fetishes, and the desire for a new paradigm shift along with various other new age philosophies. For if he that cometh preacheth another Jesus, whom we have not preached, or [if] ye receive another spirit, which ye have not received, or another gospel, which ye have not accepted, ye might well bear with [him]. Raw Dog is barking it out here about November 1, 2012 silver. It's going to be interesting to watch this next pump and dump actually. Personally I feel AAPL, GOOG, and FB are all going to $1,000. Other than that you can buy a monster box of silver and add that to your prepper supplies for the SHTF scenario. Maybe you can throw silver dollars at the enemy during mass mayhem and the next U.S. REVOLUTION? One question for both James Turk and Sean Turnbull above: If you suggest investors to be OUT OF DOLLAR DENOMINATED THINGS then why do you continually suggest GOLD ad SILVER as they are both DOLLAR DENOMINATED? BrotherJohnF who cannot give his name because he's really a faker is now promoting $500 silver. Remember when he called $100 SILVER at the end of 2011? BrotherJohnF is a "passive Christian" who is about as effeminate as SGT B.S. and his pal Chris Duane including several others that are lurking in the NIA and Sons of Liberty Mafia. Now that we have QE3 the market really doesn't seem to care regardless of what kind of chatter shows up on YOU TUBE, the NIA, King World News, or any other alleged source. The Sons Of Liberty Mafia have forged a new silver coin of their own now and are trying to profit on filthy fiat currency. Can you believe that? What next? Maybe a Raw Dog Round? Tarpley goes on to say, "...the biggest factor for peace in today's world is Putin..."
"Bitcoins are really the currency of the resistance." Forget GOLD, SILVER, PLATINUM, and PALLADIUM and the U.S. DOLLAR VALUE for payment of debts public and private. We now have Max Keiser promoting BITCOINS. What will SGT B.S. (SGTbull7) have to say about this along with Chris Duane and the Silver Liberation Army, The Sons of Liberty, and the NIA Mafia? What will Raw Dog say about it? Check back here on The News UNIT for further updates. This is my take on the soon coming world events. The following is based on some inside information, but mostly on my experience in watching how the world turns (its stomach), and what the Bible indicates for the immediate future. I am only guessing, but I am not shooting in the dark-- maybe at dusk-- but with something in the scope nonetheless. 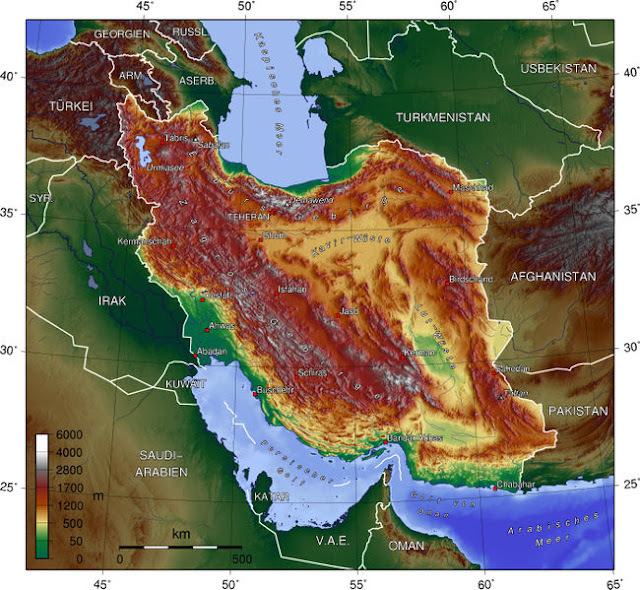 Most of Iran is 5500 feet altitude or more, and it is non-stop rugged mountain ridges of rock from border to border with a narrow strip of flatland near the Persian Gulf and Iraq. If the US Military found it rough going in Afghanistan, Iran will be horrendous. I am assuming that the State Department will be "freeing Iran for democracy," which they already have. Also, the population of Iran is much larger than Afghanistan or Iraq, and the chance of starting a rebellion by the CIA must be a formidable option-- there is a lot of agreement in Iran. Again, the war ethic of Iran will be Aryan (White race), not Semitic (Arab). There will be no coy threats-- there will only be rage and slaughter. This will NOT be World War III, as some pessimists will claim. The USA will be mostly alone this time, for other nations are busted like us, but they are under more restraints than we are, so they may well decline to run to war. Now, what will trigger the war? Answer; A false flag event. It will be massive and deadly, probably with thousands of Americans killed, and many wounded or radioactivity affected. The shock and awe will be beyond anything we have ever seen. The retaliation will be against Iran because the President will say the following words right after the false flag, "Iran," "Ahmadinejad," "nuclear attack," and maybe the old saw, "weapons of mass destruction." These words will be repeated thousands of times to make sure you believe Iran attacked the USA. Nuclear weapons will be used, and it will be said that Iran had them sooner than we thought. It is very possible that the US Military will nuke several targets in Iran in retaliation, and the world will be horrified, especially if nukes are not used in the false flag event. This will turn the whole world against the USA, and we will become a pariah among the nations. Our troops will be thrown out of the 140 nations where they are stationed, and we will flee home like whipped puppies. Israel will find it very useful to be shocked at the US use of nukes, and they will distance themselves from Washington and send aid to Iran. Syria may be targeted also, and Damascus may be nuked into rubble, as prophesied in the Bible in Isaiah 17:1. Damascus will be flattened one day, for it is the longest continuously inhabited city in the world, so the prophecy must soon be fulfilled. So, there will be a desperate need for someone to come in and make peace in the Middle East. Enter Russia and the prophesy in Ezekiel 38:1-7-- The "guard" will be called on to come and secure all the nations of the Middle East, AND Putin will graciously come and pour oil on the waters. There are many permutations that could develop and twist this one way or the other, but Jerusalem will not be blown away if they are there by God's will to fulfill prophesy. So, the US State Department and Military need to preempt Israel soon to beat them to the punch. If Israel attacks Iran before the USA all of the above is off for some time. The Arab world will turn in such rage against Israel that they would not be able to convince Putin to take responsibility for the mess. At least that is my take on events. Also, Iran would attack Israel and kill hundreds and destroy Tel Aviv. The US would then get very righteous and shocked at Iran, and then the attack on Iran could begin. Now, a second scenario, if it is possible for the US to restrain itself, would be to take the 100 mile wide strip of low land along the Iraqi-Iranian border where all of Iran's oil fields are. It would be said that this was temporary in order to force Iran to abandon their nuclear program, but it would become eternal once oil contracts were negotiated. The risk here is that Iran is a very powerful nation compared with other Middle Eastern nations, and they might retaliate with an all or nothing attack on either Israel or the USA. So, a massive invasion in grand delusion seems the most likely to me. I’m saying I’m sick to death of the seesaw media circus of Bibi vs Obama – and it seems to me to be more like professional wrestling than anything else. I think Bibi is going right along with the script and betraying his country. And it even has the tag team aura of sending top soldiers and diplomats in and out of the US and Israel. There’s no dignity to it. Once every couple of weeks a top current or retired Israeli general or national security chief comes from out of the blue and says something to the effect that it would be insane for Israel to attack Iran. In its own way, this circus is every bit as sick and perverted as Obama and his lackeys insisting that the embassy attacks were totally spontaneous and unpredictable. I believe the ayatollah and mullahs of Iran are every bit as serious about killing all the Jews as were Hitler and his henchmen. A disciplined principled Israeli PM would have gone it alone a long time ago. I don’t think Israelis have any more of a sense of loyalty to God today than the ones who were driven out of Israel into the Diaspora. How could they? God is bringing them back according to his word, and not of their own efforts. The Jews of today are every bit as lost as those of 130 AD. I also think that a lot of the individual soldiers of the IDF don’t want to fight a war of national survival against Iran. The Iranians seem to know this. Actually there was an online article about even IAF pilots who will refuse orders to attack Iran, but when I clicked on the headline I had to pay if I wanted to read the rest of the article. But it started out that it was a very disturbing thing to contemplate that individual soldiers would refuse orders to attack Iran. My Israeli friend in the US told me that even his relatives we stay with on weekends in Israel don’t want Israel to attack Iran. And every house in their community has been hit by something fired out of Gaza. Changing subject, aircraft carriers are really the only way we can project our power throughout the world. I think huge ships like that full of aircraft are sitting ducks upon the waters. Finding a way to sink our carriers would drive us home with our tails twixt our legs faster than anything. I wouldn't want to be on a carrier. Subs are very powerful of course, but they can't support boots on the ground. If a dummy like me can see our dependence on carriers, then you can bet our enemies are giving them their full attention. Suicide torpedoes would be the answer to the problem of carriers. My contact's comment is very interesting when we consider all the ships in the Persian Gulf which have gathered to protect the oil supply through the Straits of Hormuz. They are also very easy targets, as he pointed out, ESPECIALLY since they are packed so close together. He continues in speaking about the world right after the Rapture of the Church. If this Rapture happened in the next couple of weeks, you would be facing something like the following, which I assure you is implied in Bible prophecy. We’re seeing how maniacal the strong delusion is going to be after the Rapture (of the true Bible believing Church of Jesus Christ). The gift of discernment (which God has given us Bible believers) is like a super-natural level of common sense. After the Rapture there’s not going to be anyone left with enough common sense to pour water out of a boot. Our top generals like Martin Dempsey are not only utter whores to Obama, but have literally sold their souls to hold their positions. When the Restrainer is gone, there will be nothing to restrain them, and think of how that’ll be. All governments of the world will turn 100% totalitarian and won’t waste any more time than necessary keeping dissenters in confinement until they can be executed. Someone somewhere has already decided that decapitation will be the most efficient way to kill masses of prisoners. And if it’s shown on TV 24/7 (by Muslim fanatics) it might be the most effective way of terrorizing the people into obeying the government without question. I’ll bet many government employees will be dedicated to do nothing but read through private email archives all day long, and if they find any communications that even hint of an anti-government attitude, those responsible will be arrested and decapitated asap. I’m certain there will be no trials. If the analyst of your emails sees something in your writings to indicate that you’re a potential troublemaker, that will be a death sentence in and of itself. The arrest order will be the death sentence. (this comment is exactly what Joseph Stalin did long ago in the USSR) That way when you get out of the train car after it arrives at the processing facility you will immediately be assigned to one of many lines leading to hi-tech hydraulic guillotines with stainless steel blades, frames, and sealed roller bearings, good for millions of cycles. It’ll be a lot like a modern cattle slaughtering facility. I am a plugger, and no Biblical scholar. I think huge war forces are on the move, and they're not going to stop without a major confrontation. I think the whole US foreign policy just collapsed. As per the article you sent, yes Obama's handlers had a big plan which has either flown out of control, or is going as they want. But I don't think the USA has the spiritual power to get involved in this anymore as a major participant. The powers controlling Obama might not originate here, but most likely in The City in London. We (the US Military in the Middle East) may have to essentially flee the area for our lives -- maybe even with our aircraft carriers sunk. Jerusalem is the center of the world, and the world is now centering on Jerusalem. I don't think censoring all criticism of Mohammed throughout the world really can mean anything anymore, with Ishmael and Gog ascending. I think we're a little beyond the stage of whether or not a conspiracy of the power elites to silence criticism of Islam is going to change much of anything one way or the other, but it may provide a framework for stifling any criticism of Antichrist as he rises to power. I can assure you that many Bible believing pastors, the ones NOT in the Emergent Church, have a very real sense that we are standing on the edge of our God-given promised destiny. If all true Bible believers were suddenly removed, and the Holy Spirit were to stop restraining the wicked, all hell on earth would break loose in the Middle East. The lust for blood, oil, wealth, and power over people is now bubbling over in abundance in the hearts of world leaders. Only the Spirit of God is keeping us from seeing total rage from all directions. Only if you are an open confessor of Jesus Christ among ungodly men is the above promise for you. This commentary will not be up here for long. Copy it if you think it is useful. The Revolution is going to begin on television first as we get a chance to watch Hollywood get American's revved up on chicks with guns and crossbows taking on the enemy and so forth and so on. Get your six pack or barrel of beer and some hard liquor and get ready to feast on the usual rubbish from Hollywood as the flesh is exalted and God is cast down and forgotten. If we really end up having a real revolution in The United States Of America the men have no worries because all the women will take care of us and keep us safe. This includes but is not limited to the INFO-BABES such as this Fate Of Destinee and other half-naked women who can pack a Glock and an AR-15 for us and keep an eye on the perimeter for us. Don't you feel safe now? Jewsunit, are you up to your old bullshitting ways, you bald prick? I see silver and gold are up above the levels you said that they wouldn't surpass. What currencies are still printed on paper, you dimwit? Most Currencies are printed on cotton and plastic nowadays. Less than 5% of currency is in 'paper' form anyway, you peanut. Do the world a favour and stop putting out videos and stop commenting on other people's videos. http://www.fxempire.com/ - August 22, 2012 commodity daily technical analysis for the Silver commodity. What's the fetish for naked women, gold, silver, platinum, and palladium? So King World News writes a report on gold soaring as the world sinks into the abyss with this picture which has nothing to do with gold. Or does it? Now this should at least show any real thinking person that this whole silver nonsense is a total scam. Take a look and do your own due diligence. No doubt this entire NIA and SONS OF LIBERTY Mafia bunch of crooks are trying hard to pump silver one last time to make some fiat money profit. They love the US DOLLAR because they always price their silver using the dollar. If the dollar was worthless silver and gold would be measured otherwise. And what's this Christ Duane skull fetish? Maybe SGT and his buddy are in the Skull and Bones Society together? They seem like the type don't they? QE or no QE? That is the question. Marriage: Is it honourable or redefined? How about some duels today? Train up a child the way he should go? Quantitative Easing or "QE 3"